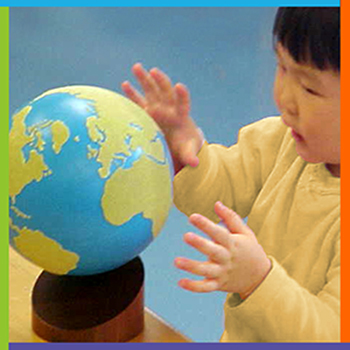 The Montessori philosophy is a worldwide recognized method of teaching founded in the early 1900’s based upon a lifetime of research by Dr. Maria Montessori, an Italian Physician. Her philosophy is based on the natural development of children and their normal instinctive desire to explore and discover how to learn from the world around them. Children under six have extraordinary powers of the mind. They have a universal, once-in-a-lifetime ability to absorb knowledge from their surroundings. 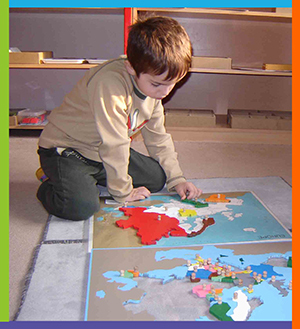 They take in their environment, the physical space, the language and movement of adults and other children. 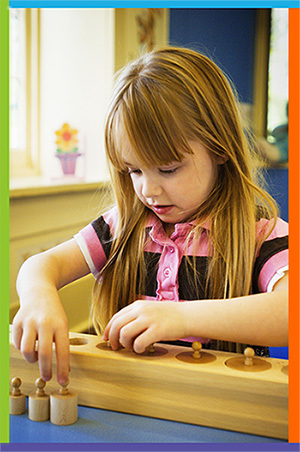 In addition to academics, the Montessori methods of teaching encompass other areas of a child’s development. 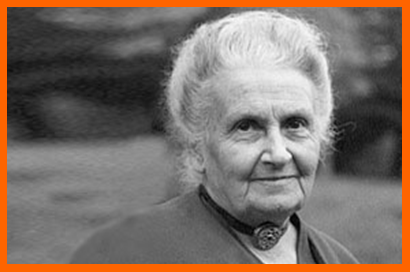 Dr. Maria Montessori believed that it is equally important to develop children socially, physically, and emotionally. In this environment children learn to be kind and courteous to others, work independently, become self-disciplined and learn to take positive action. To develop a positive attitude toward himself/herself in the classroom and in life. To enhance self-confidence and become an independent learner. To develop good habits of concentration in his/her work. To develop initiative and persistence. To achieve inner security and common sense in normal order. To help each child develop his/her sensory motor skills. To assist his/her social development habits. To challenge and develop higher level of intelligence and imagination.